To separate or not to separate – that is the question. 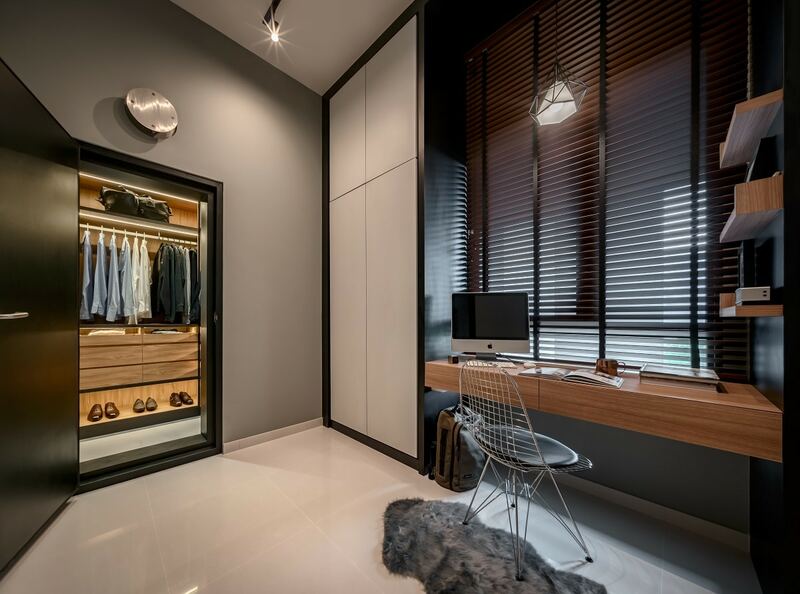 Many homeowners want their walk-in closet to be completely separated from the rest of their home, even when it is quite small. However, you do not need to do that at all. 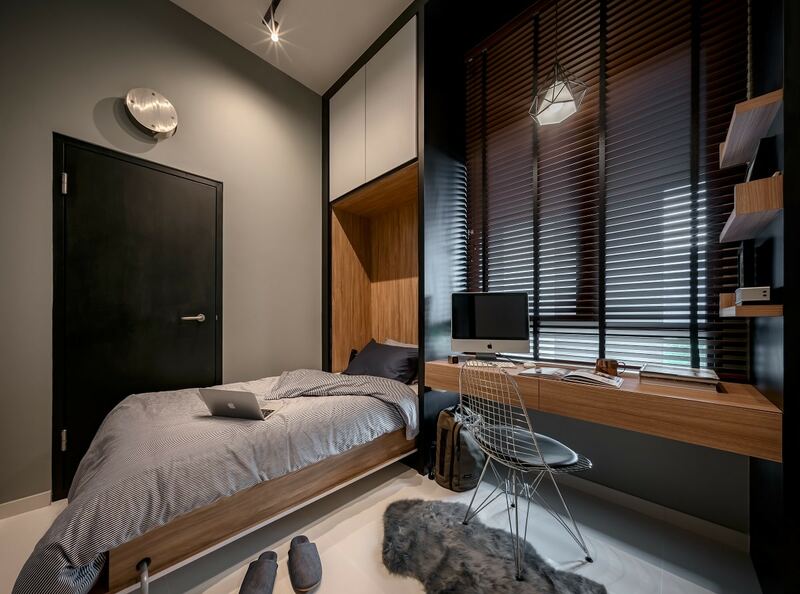 In fact, if designed right, this closet can add a lot of aesthetic value to your home. 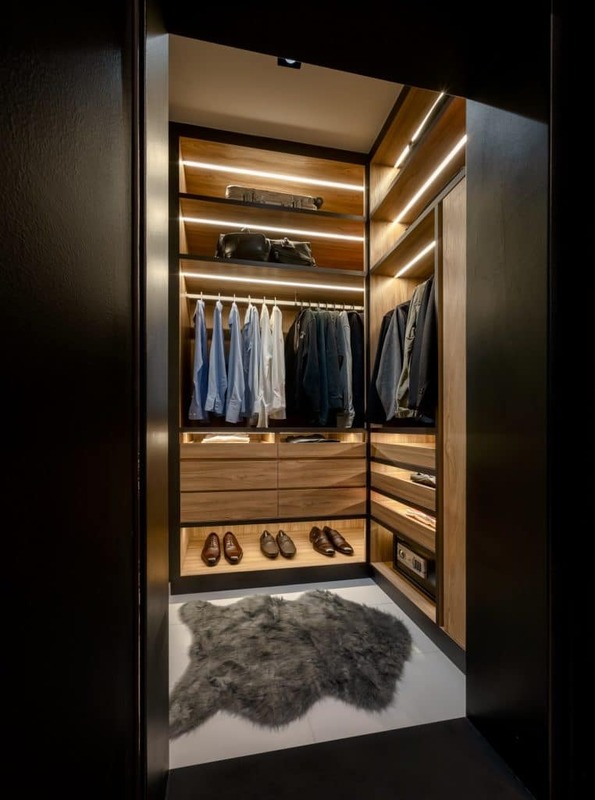 Just take a look at the gorgeous walk-in in this image – it’s relatively small, but the smart designing of shelves and clever use of lighting makes it seem like a small, high-end boutique tucked into your homes. 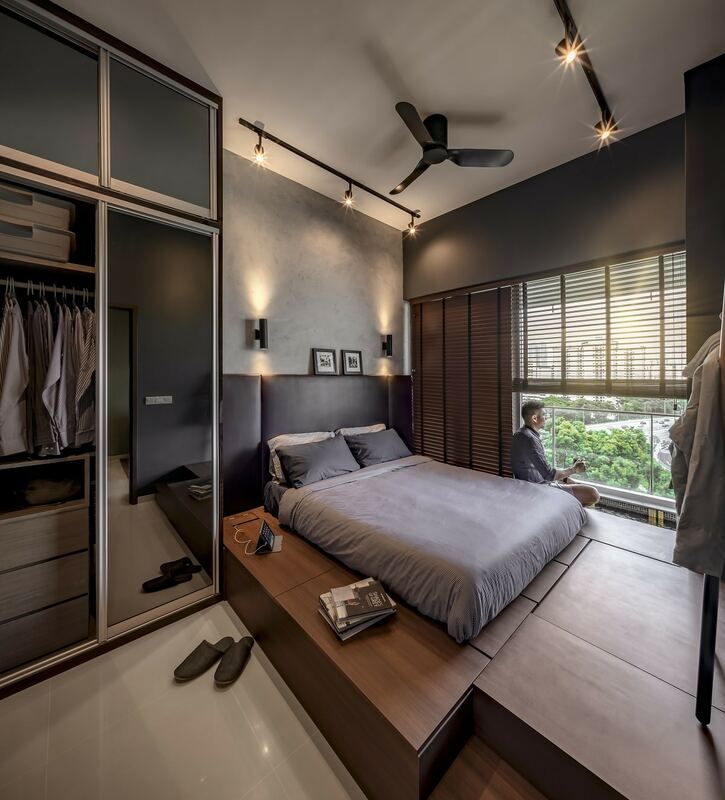 Most Singaporean homes do not have the real-estate to have properly designed walk-in closets, so wardrobes are the next best options. However, you do not have to be particularly straight-laced about their designs. You can experiment with different materials – glass, laminates, etc. – and interpret them in unique, customized designs that will lend your rooms a personal edge. If you’ve got a huge book collection (or any collection at all, really) then having a stunning bookshelf can take care of storage and aesthetics all in one go. However, vertical or compact bookshelves never have as much impact as large, feature-length ones. But if you feel like you do not have enough space, then you can take inspiration from the stunning horizontal bookshelf in this image. 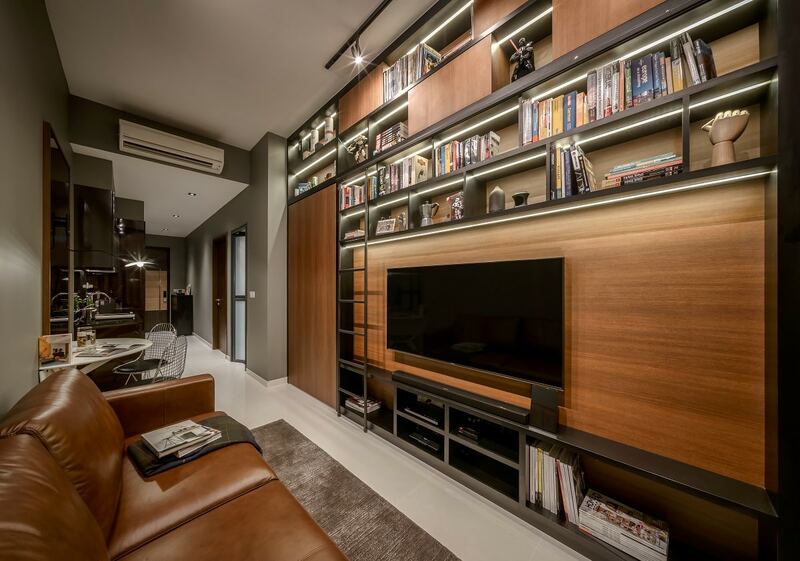 Designed over the media wall, it acts as the perfect library and decorative element in the living room. Who says study desks and cozy reading nooks need to have in-built book-cases? You can simply use reflection to get the best effects. 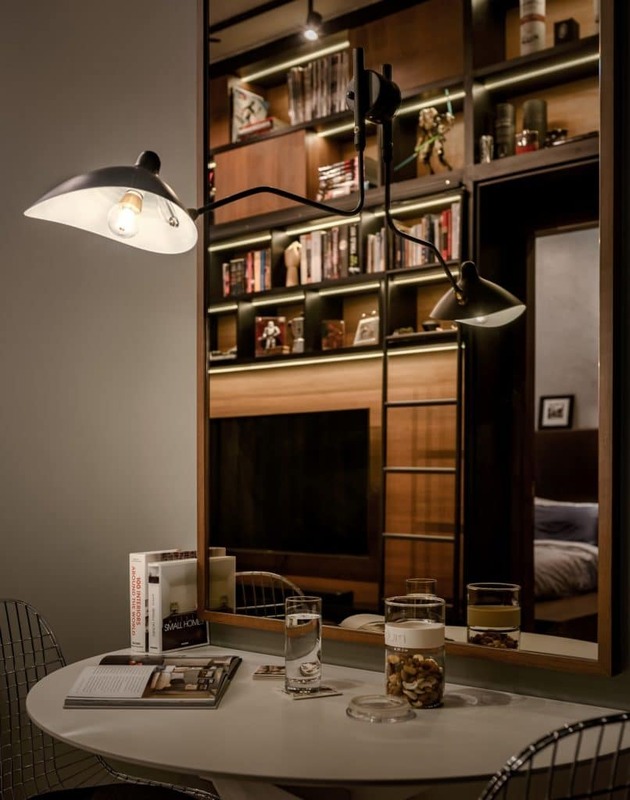 This image shows a great layout where the nook and the actual bookcase are opposite to each other, but the shelf is actually reflected in the mirror right by the nook – absolutely ingenious. While wardrobe exterior designs are quite important, their interiors are just as much, if not more so. 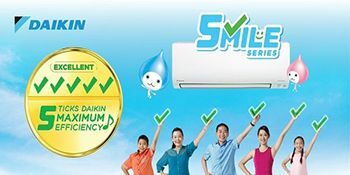 The internal arrangement of shelves, hanging rods and compartments has to be effectively functional as well as visually pleasant. The wardrobe in this image is a great example – the compact space has been gully utilized and perfectly embellished with recessed lighting! Not all storage spaces are designed for specific objects – some are designed to keep various, miscellaneous objects safe and out of sight. The study desk and bed in this image are great examples of this technique. The cabinets and open shelves are very stylish, but versatile enough to keep everything safe and sound.